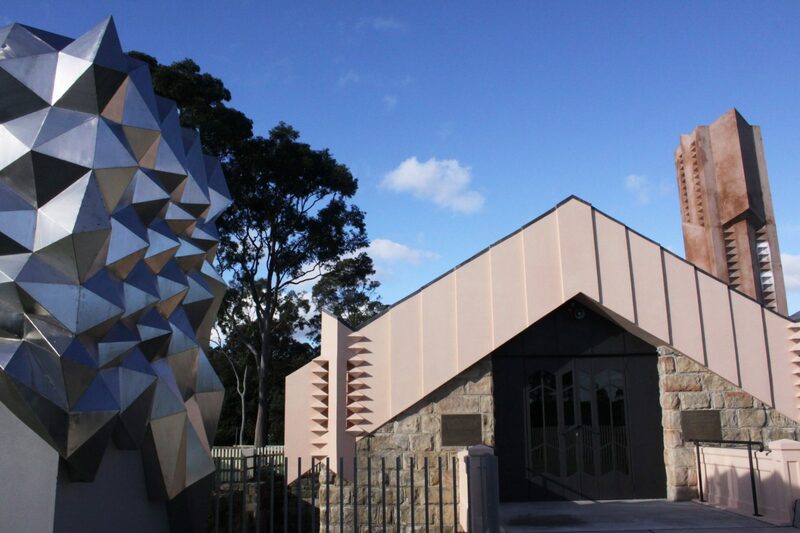 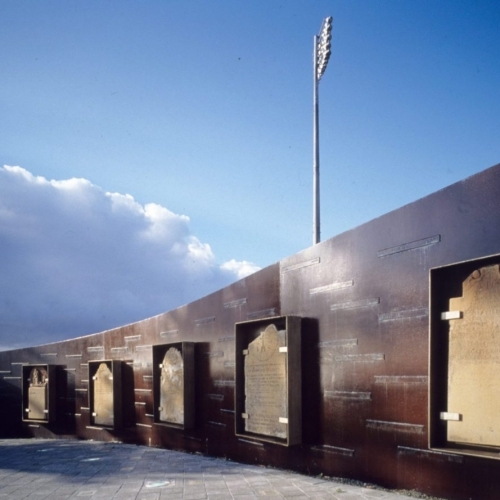 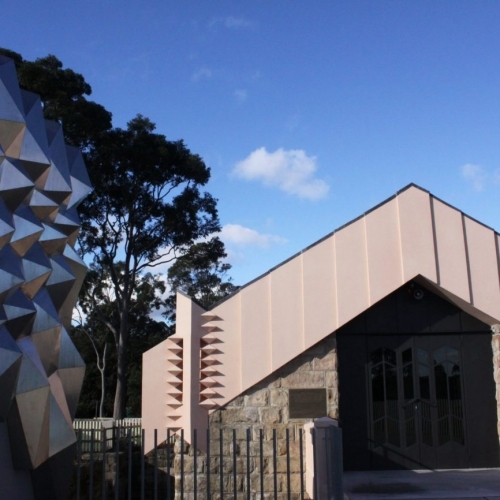 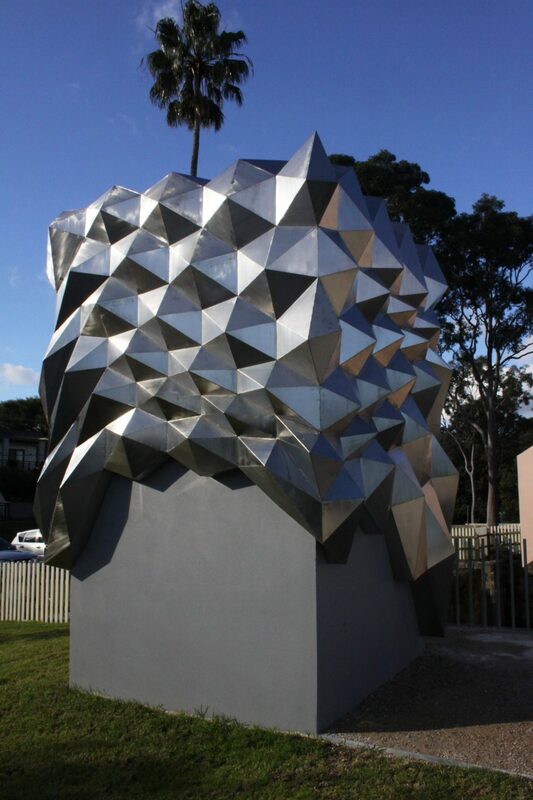 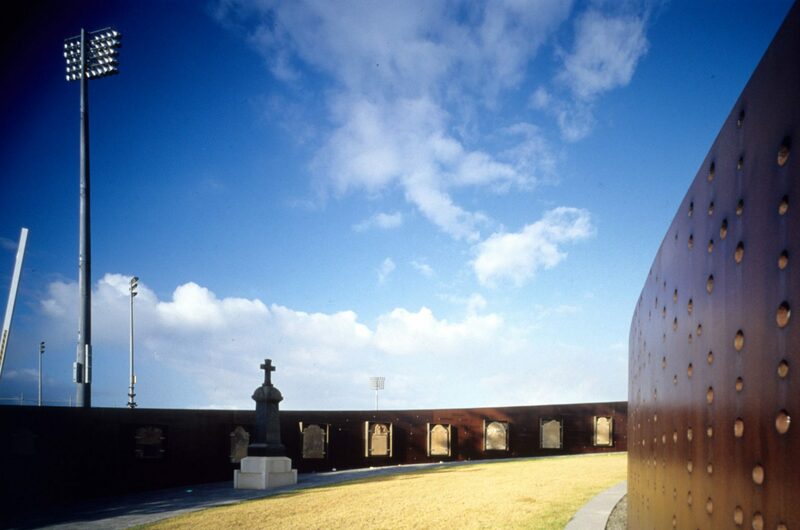 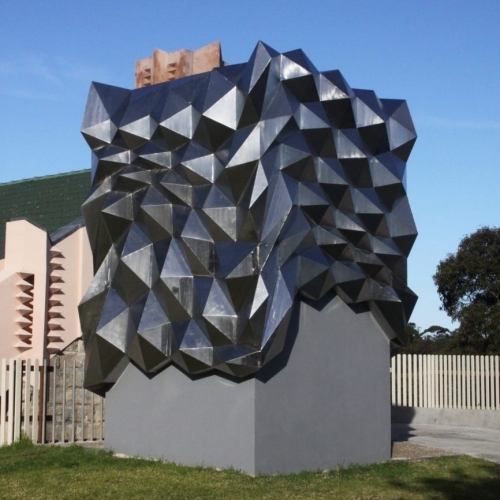 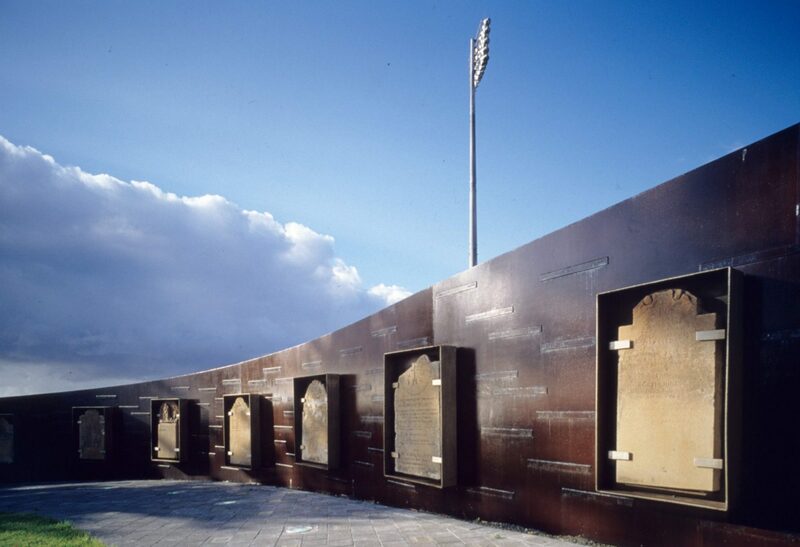 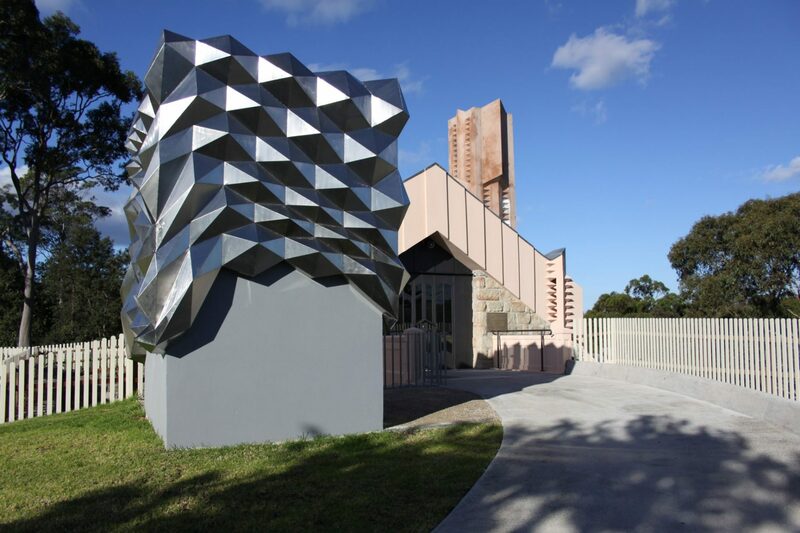 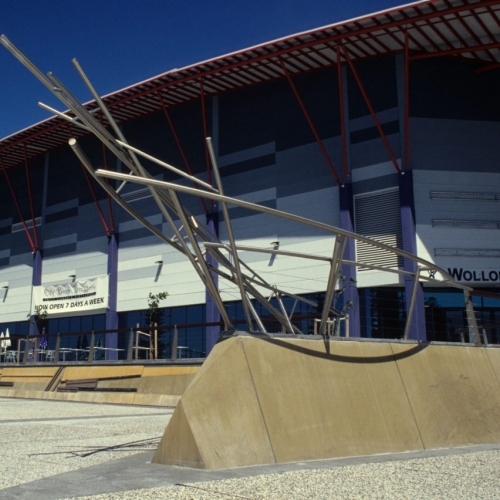 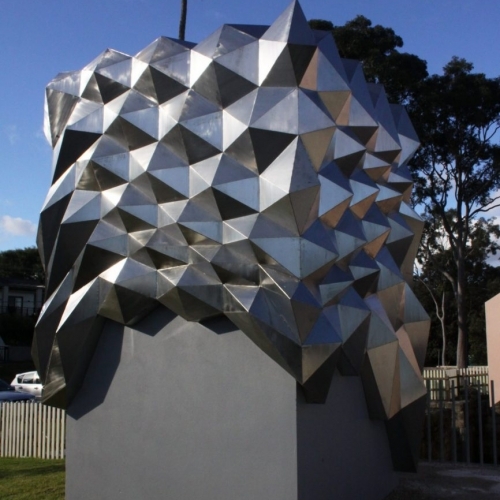 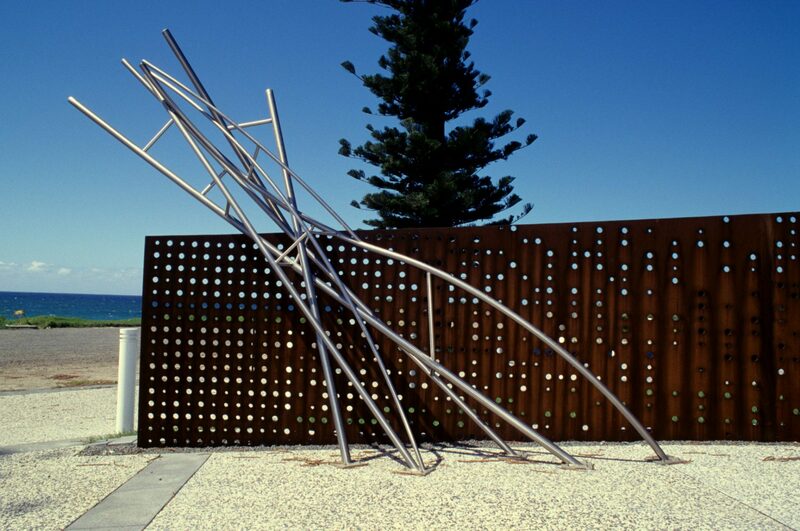 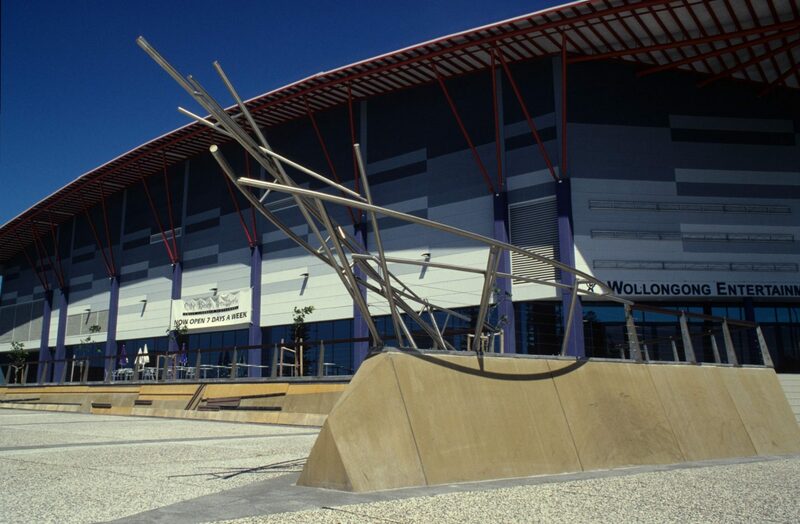 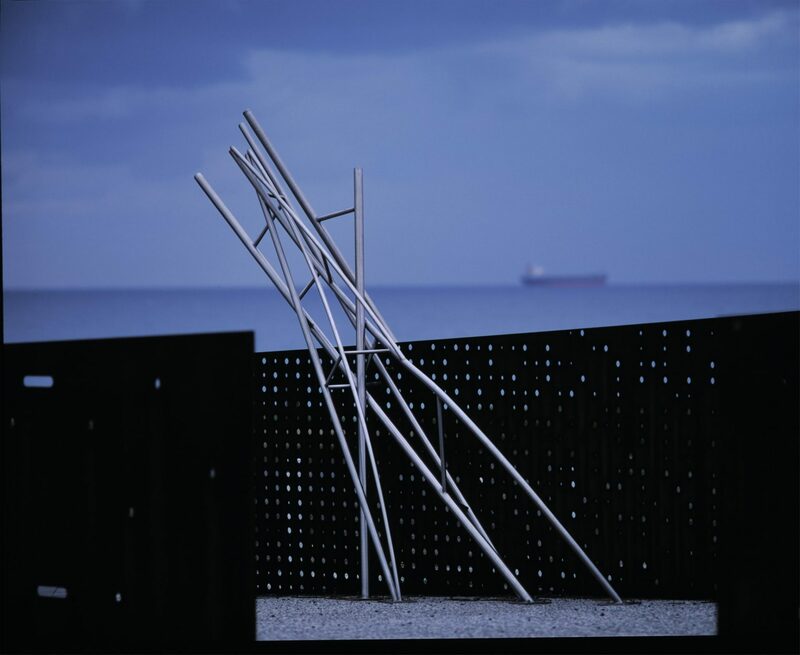 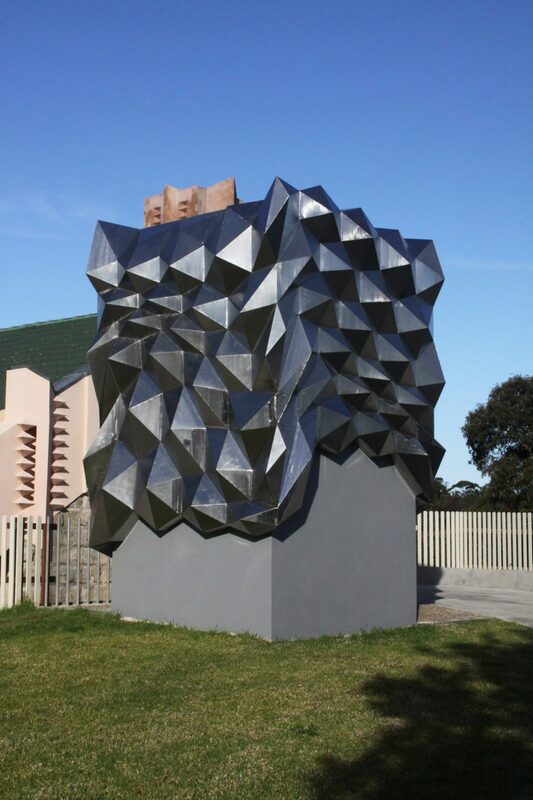 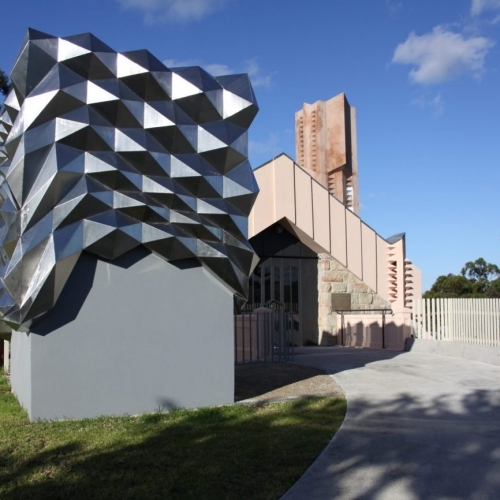 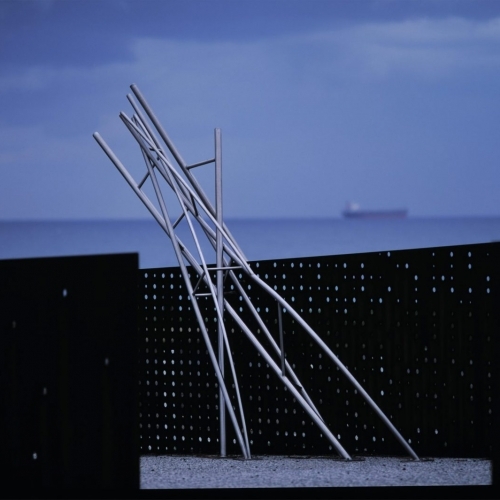 Situated in front of the Wollongong Sport Centre adjacent to the beach, this site specific work combines landscape with a series of steel blade walls which protect the area from wind. 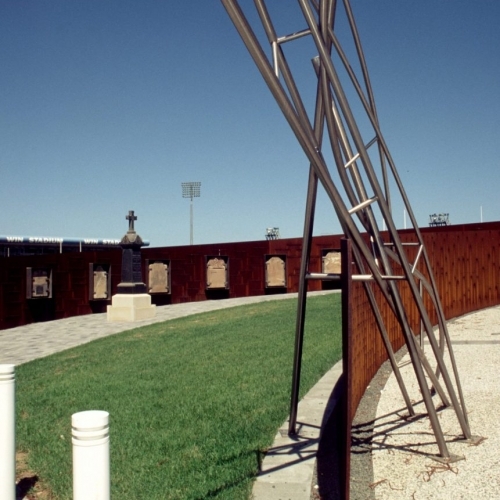 Built over historic symmetry, the combination of sculptural walls, stainless steel railings and supports also incorporates archaeological remnants and names of the dead. 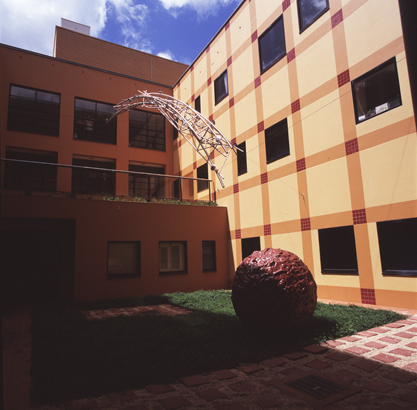 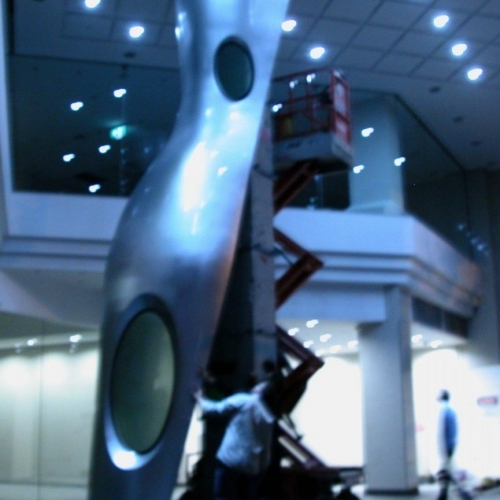 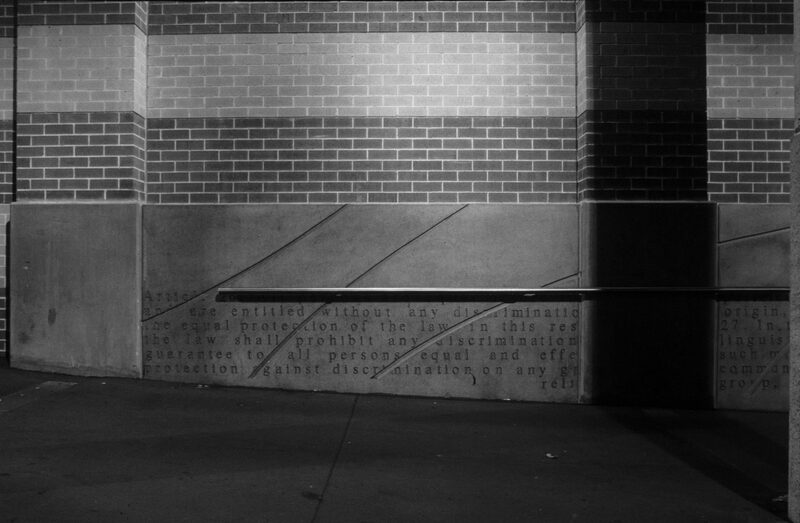 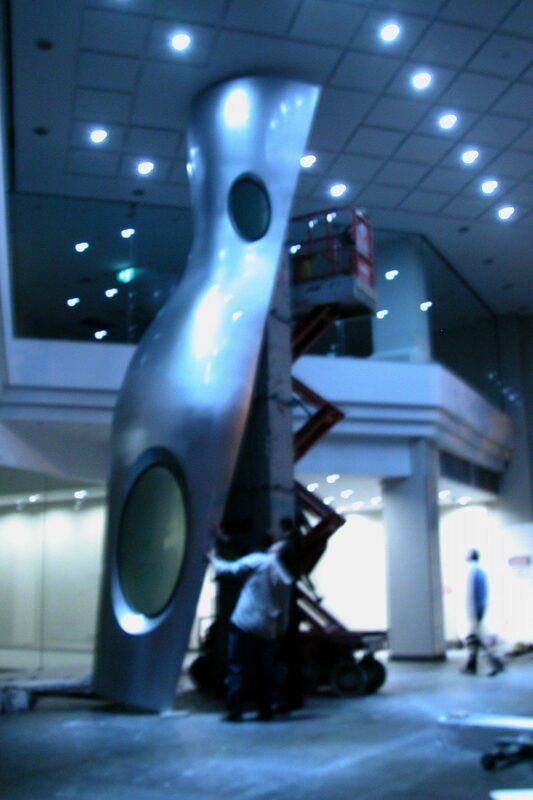 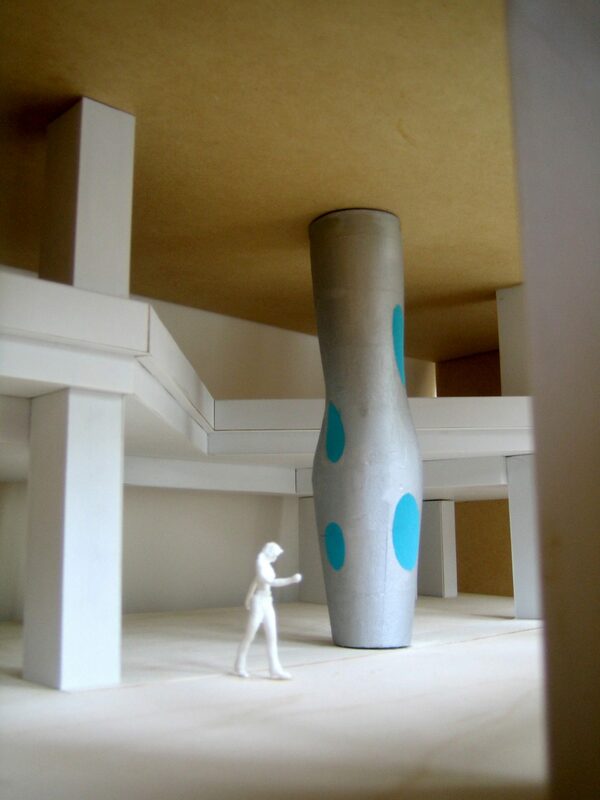 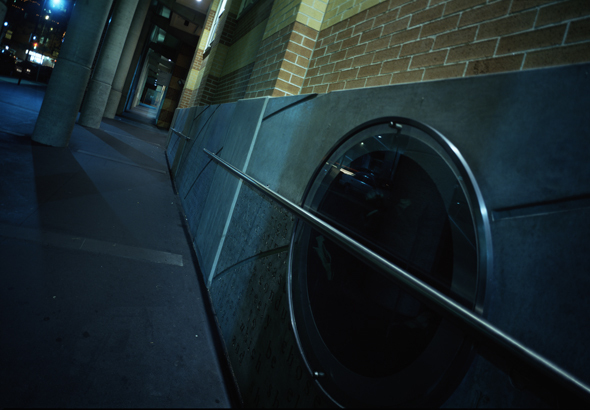 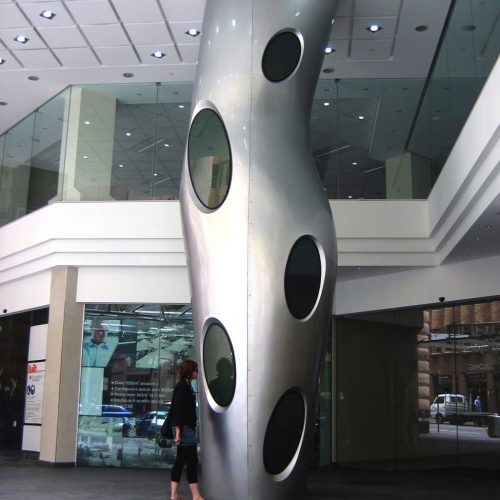 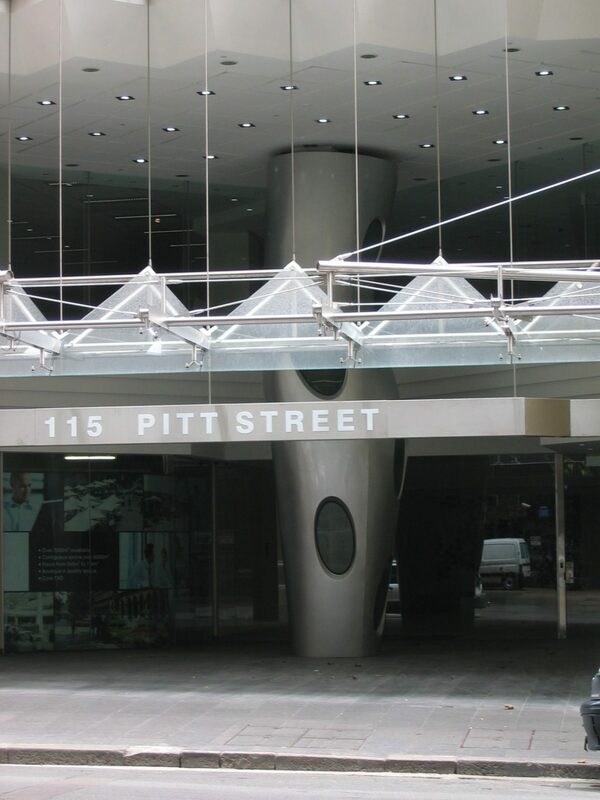 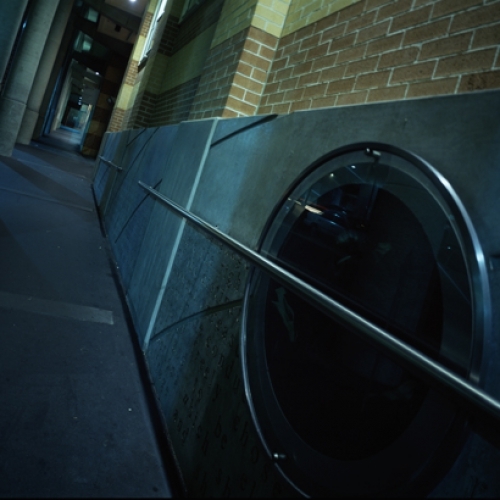 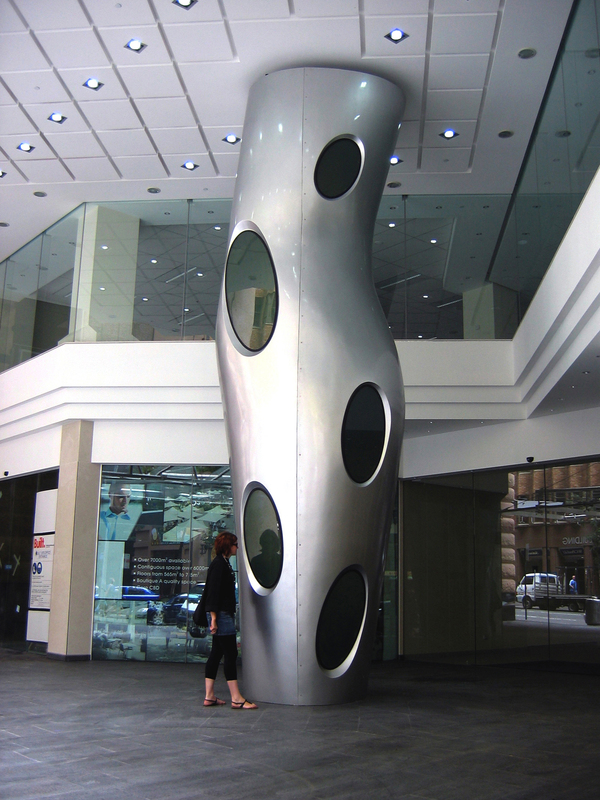 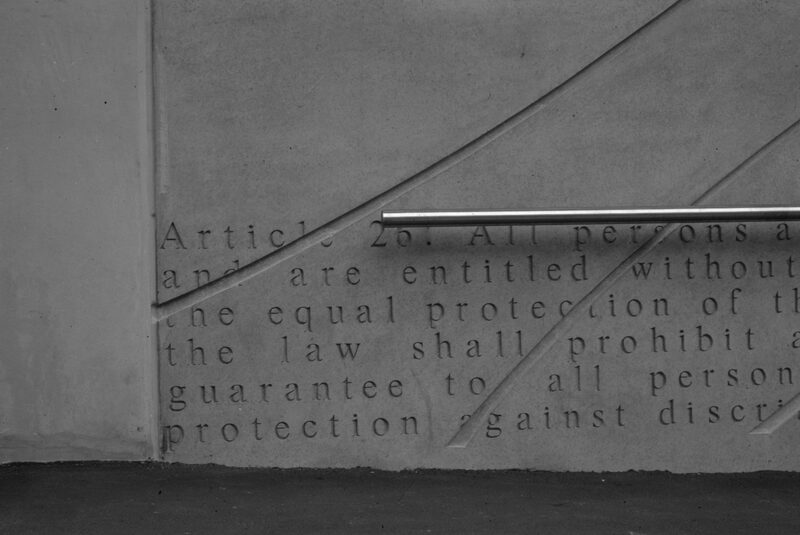 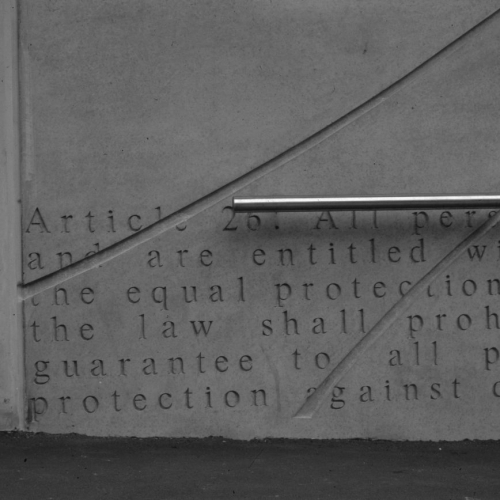 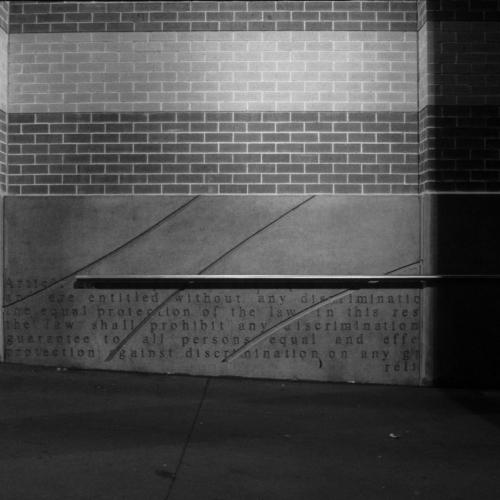 Sculpture installation which invades the external wall to the Moot Court. 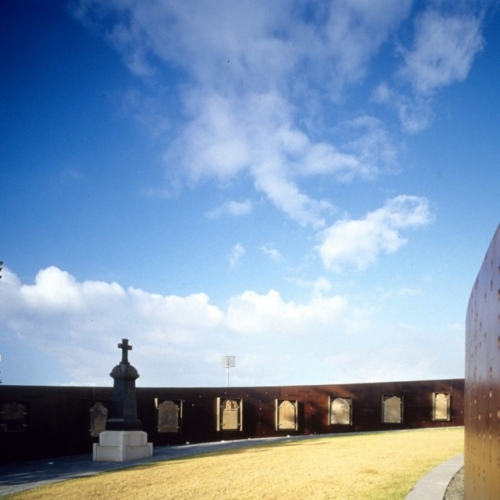 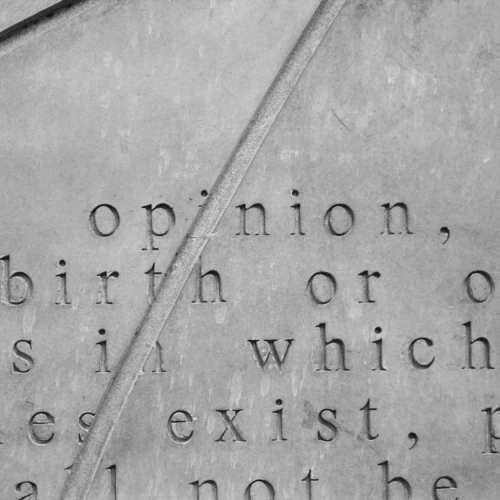 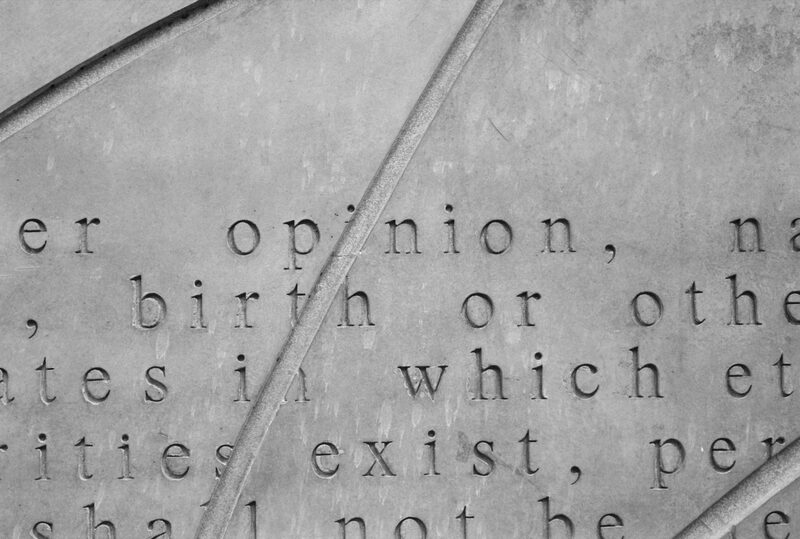 The installation features concrete panels with carved text (The Bill of Rights) and 2 glass and stainless steel tanks holding historic lawyers wigs and gowns preserved in nitrogen gas. 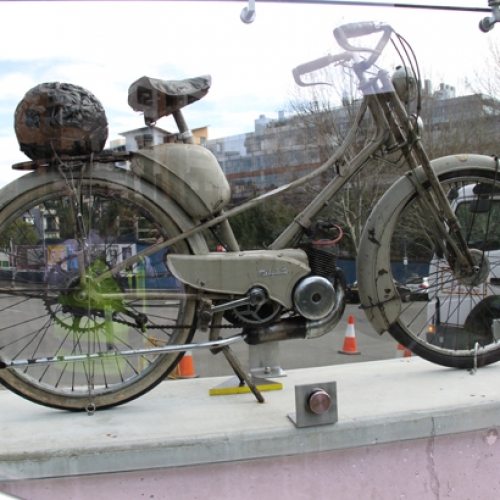 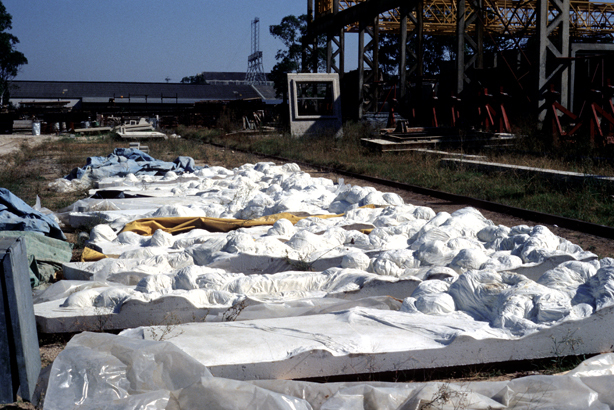 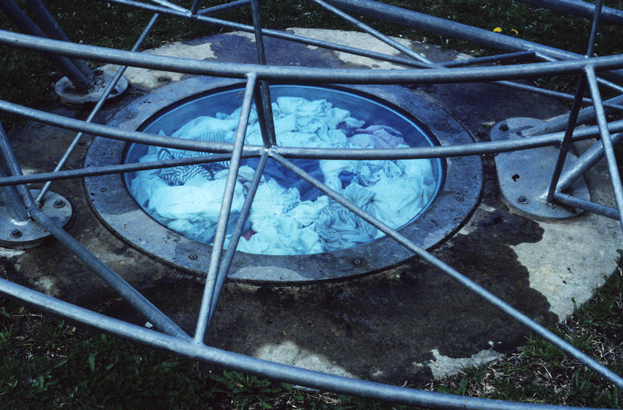 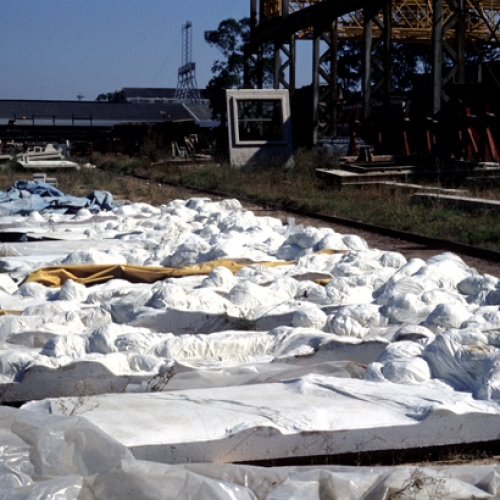 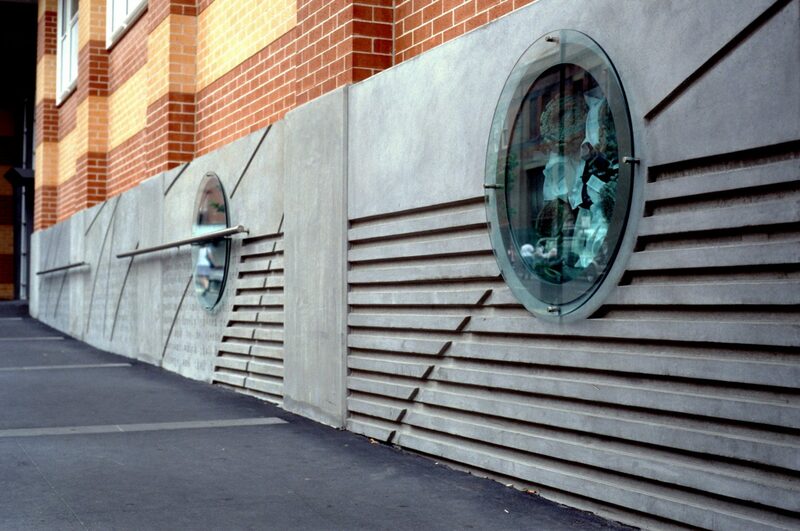 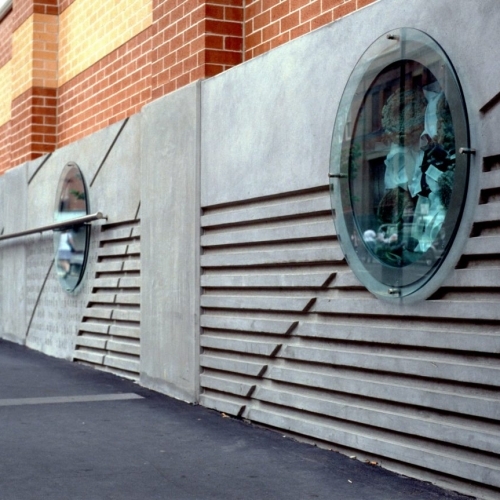 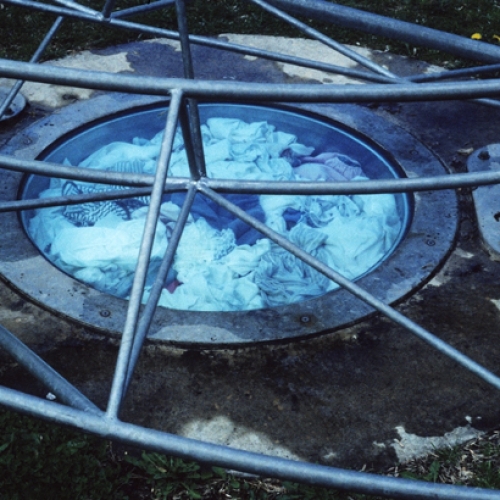 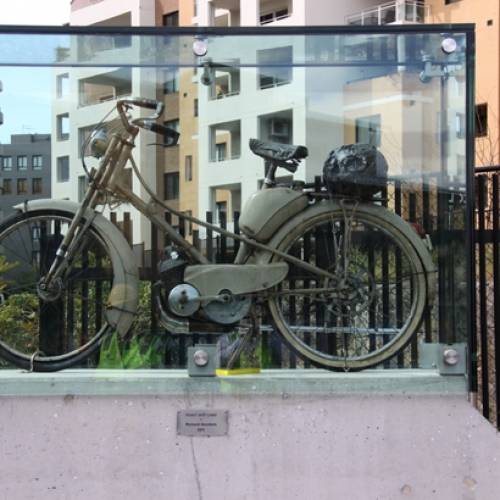 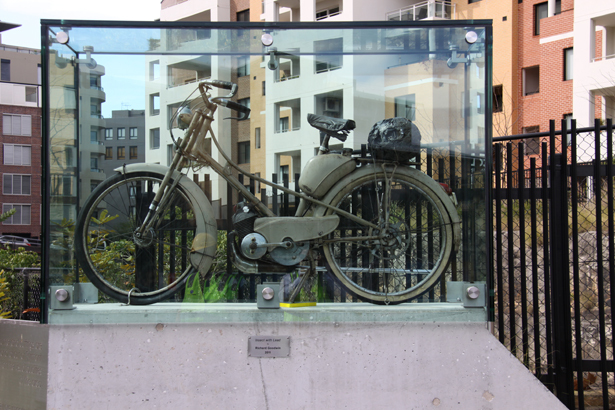 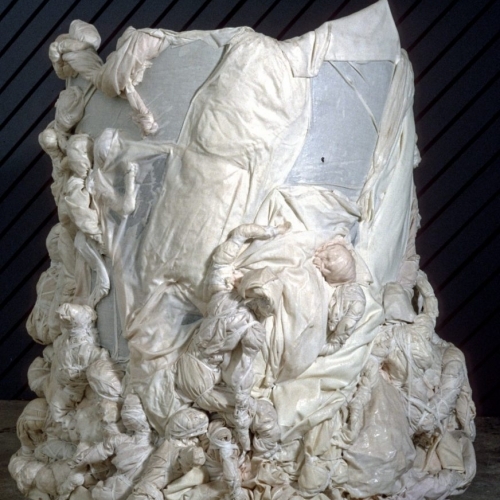 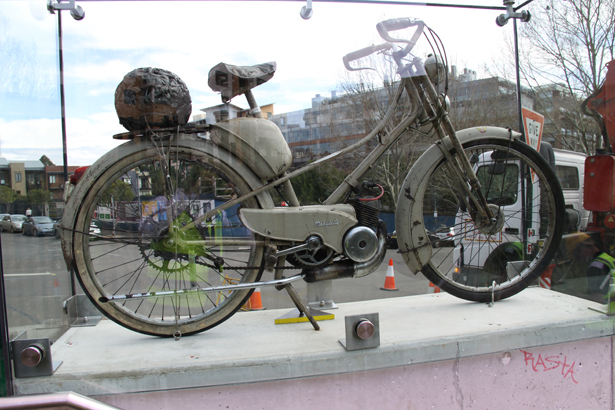 Site specific sculpture installation outside the Orange Regional Gallery featuring local stone and a stainless steel and glass tank containing local residents clothing preserved in Nitrogen gas. 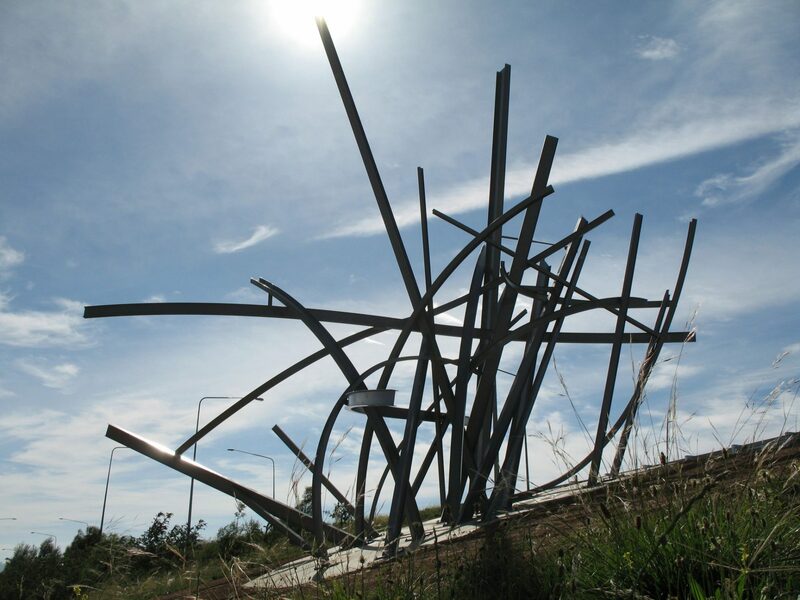 The work represents a bold statement to mark the commencement of the new drive extension at the northern end. 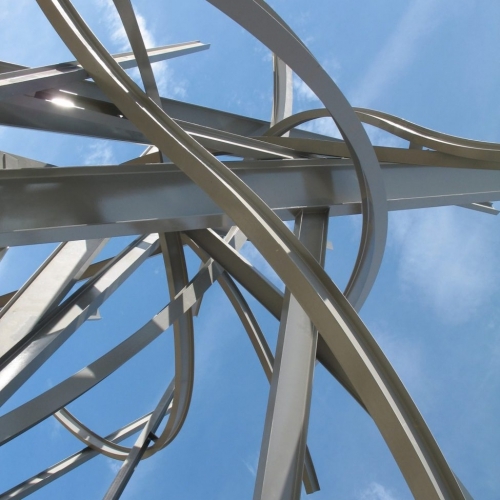 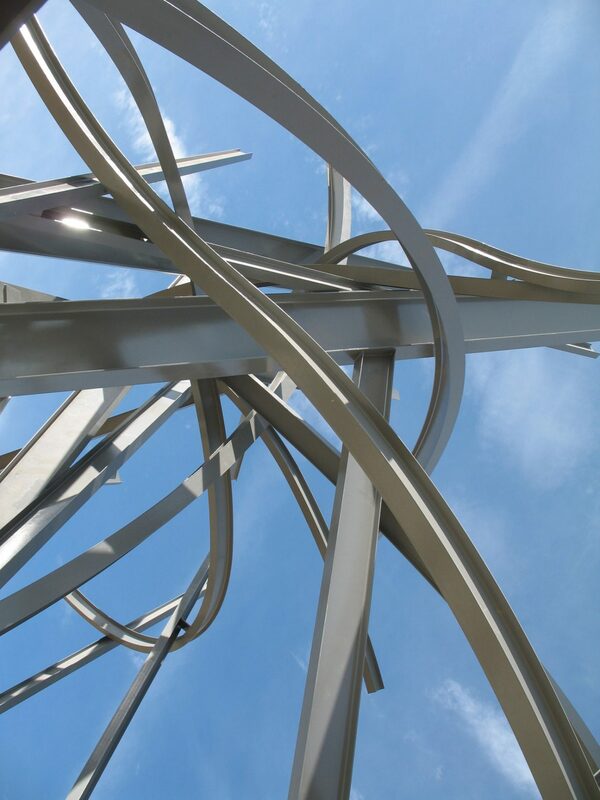 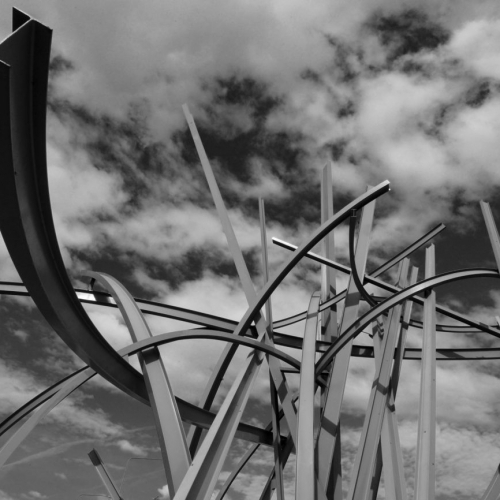 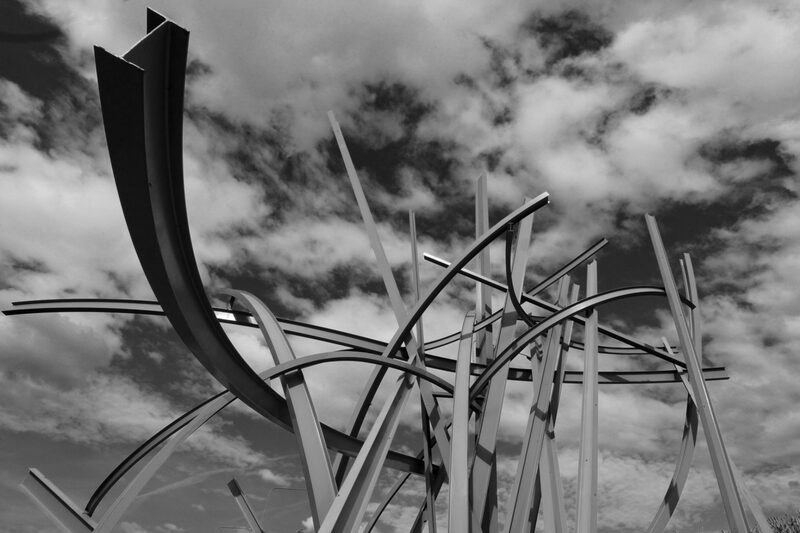 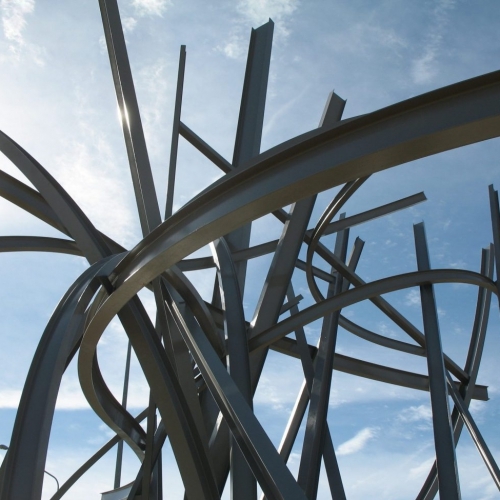 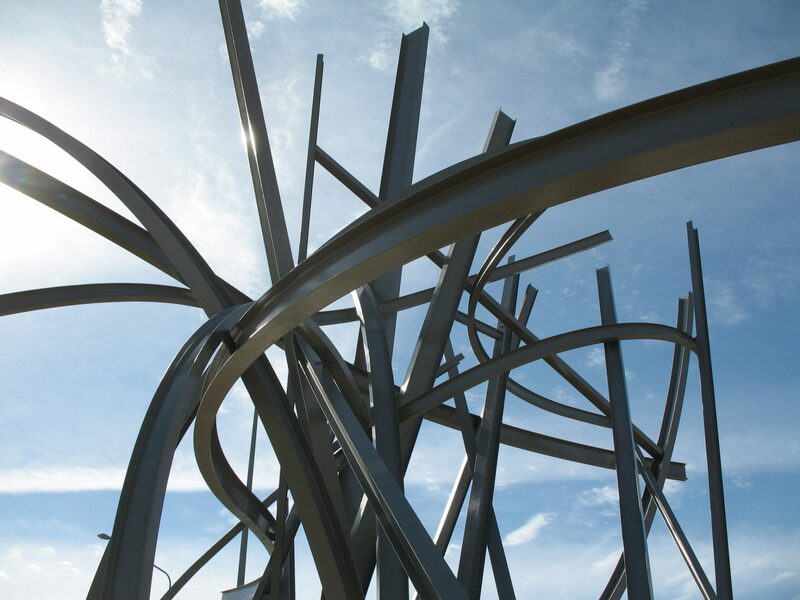 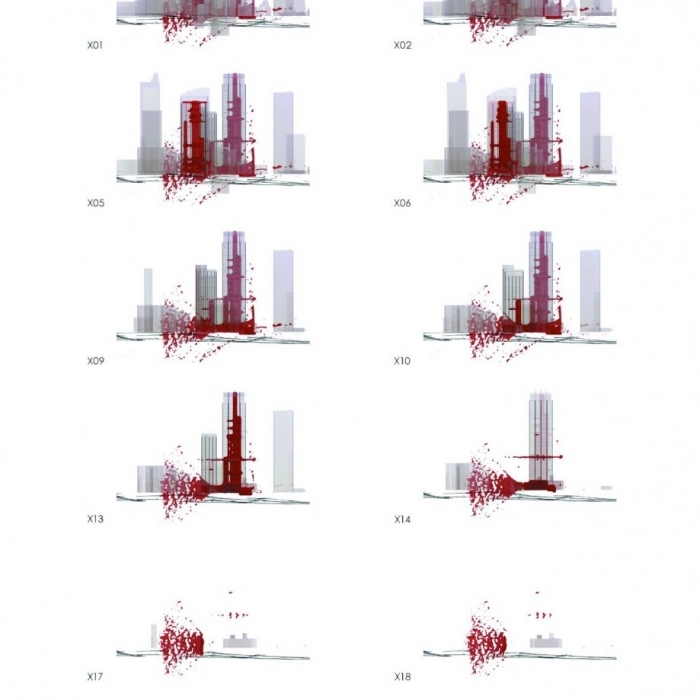 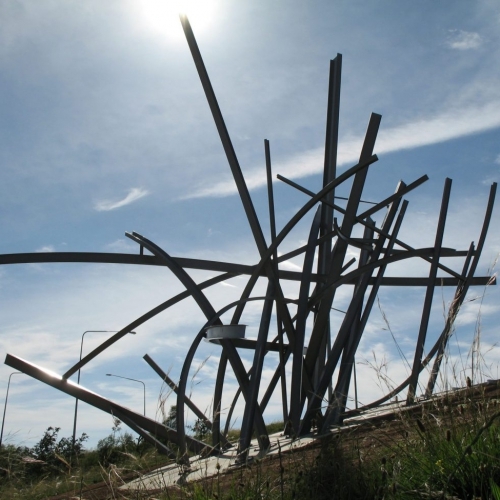 The sculpture comprises of 50 steel universal beams sprouting from the ground at various heights and angles to celebrate the local grasses at the scale of the freeway. 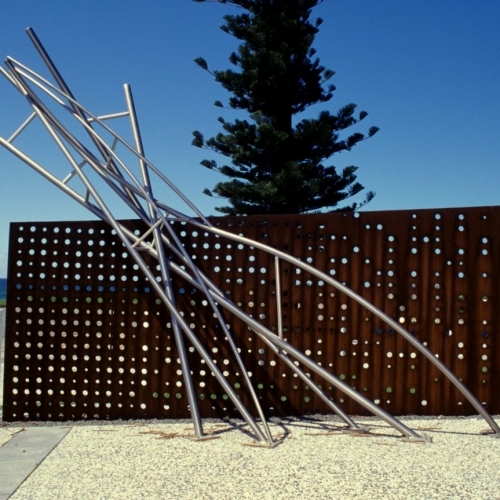 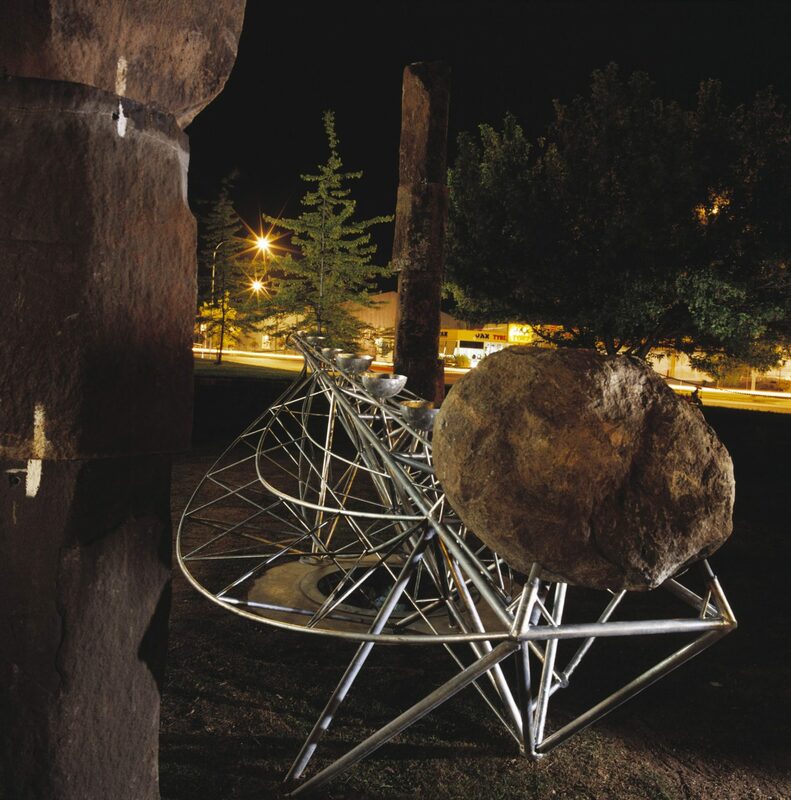 The work emulates the resilience and changing characteristics of the indigenous grasses. 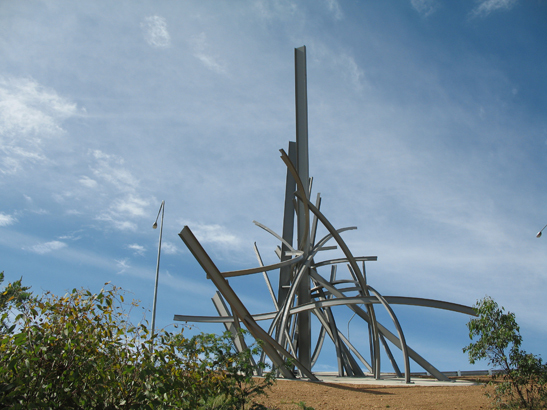 It occupies an otherwise empty leftover freeway space in a way which turns the road’s cloverleaf circle into a grand plinth for the work. 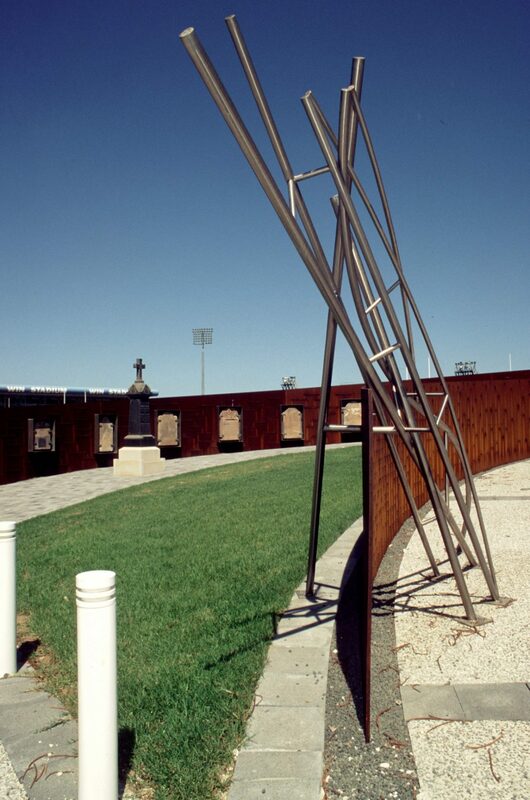 Lighting from the ground plane will play on the angular shafts at night to form a memorable place marker. 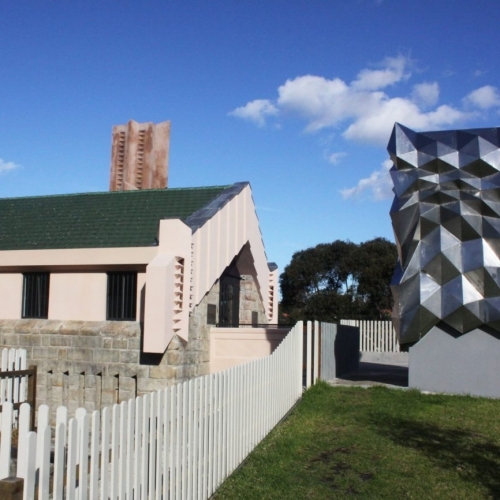 Site: The work is situated within the circular space of the highway interchange adjacent to the landscape marker formed by a stand of Squiggly Gums across the freeway. 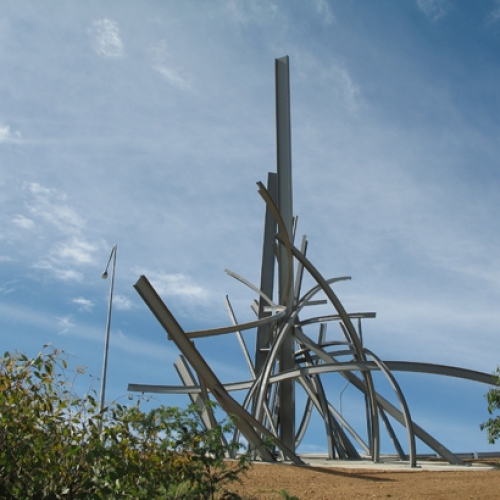 The site also forms the northern entry to the new freeway extension. 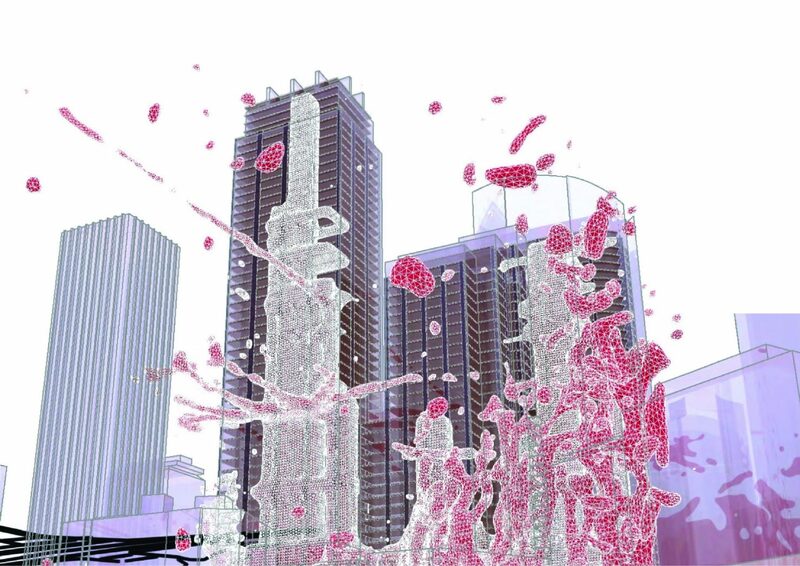 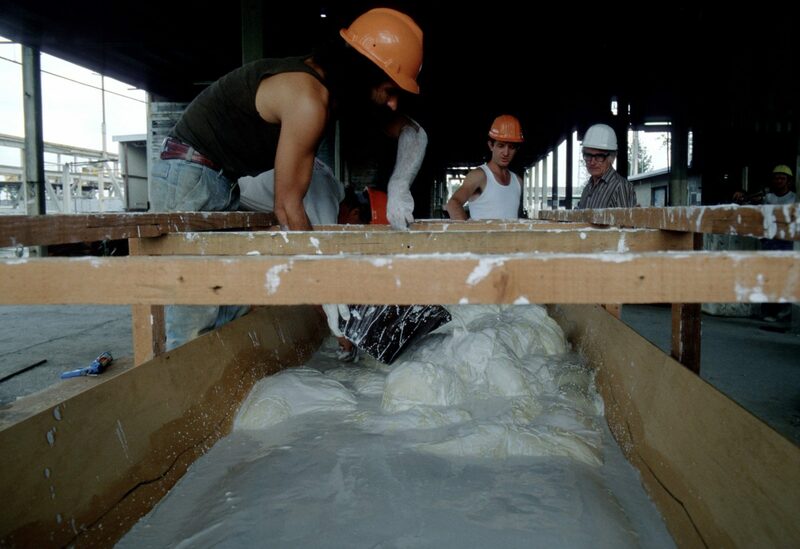 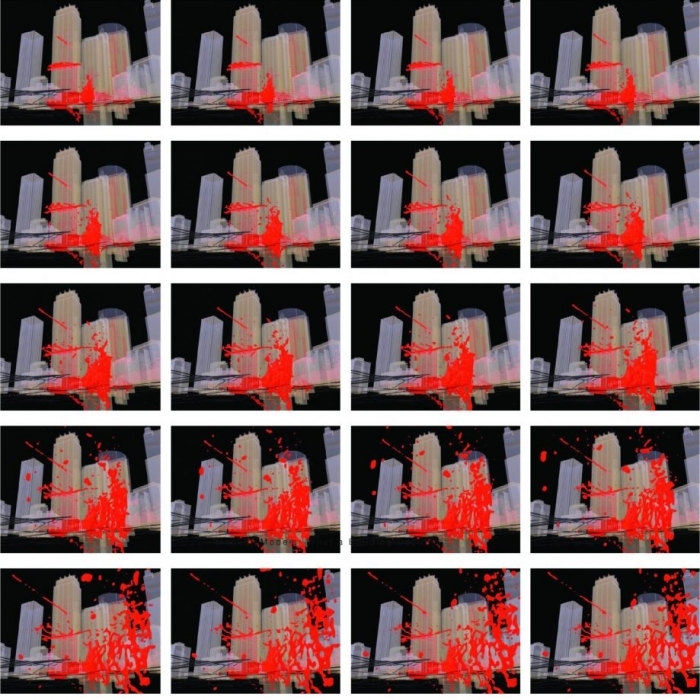 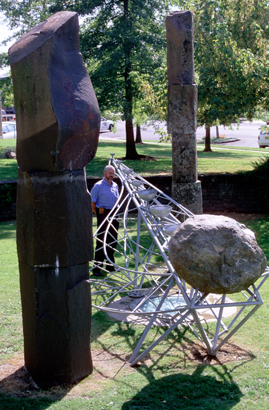 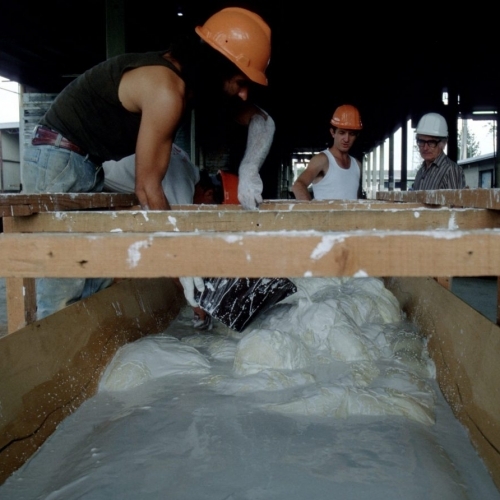 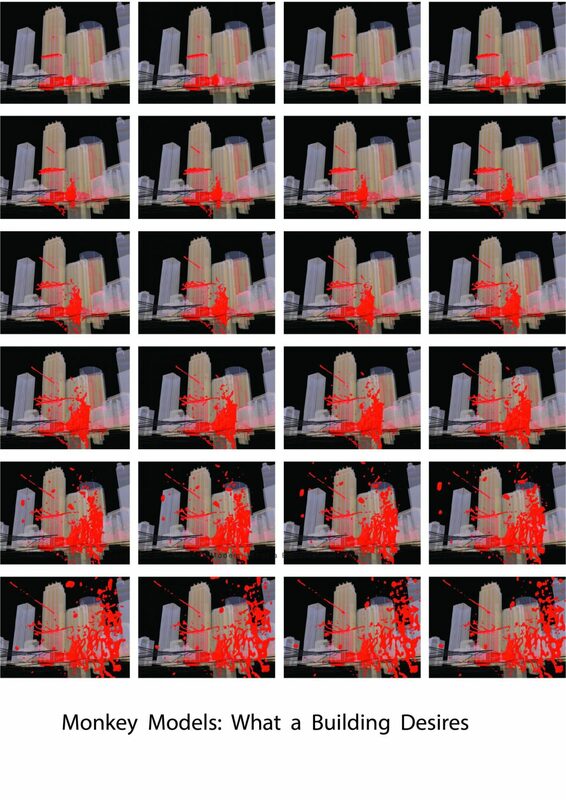 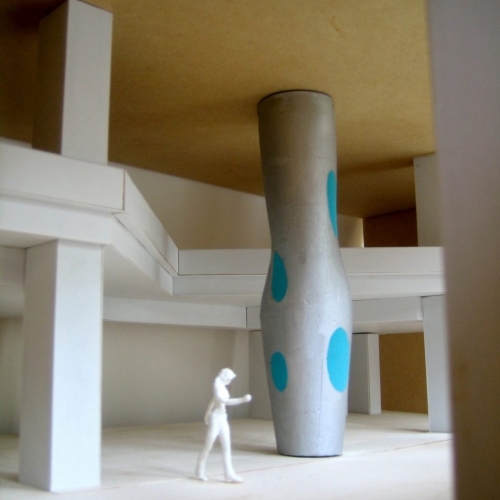 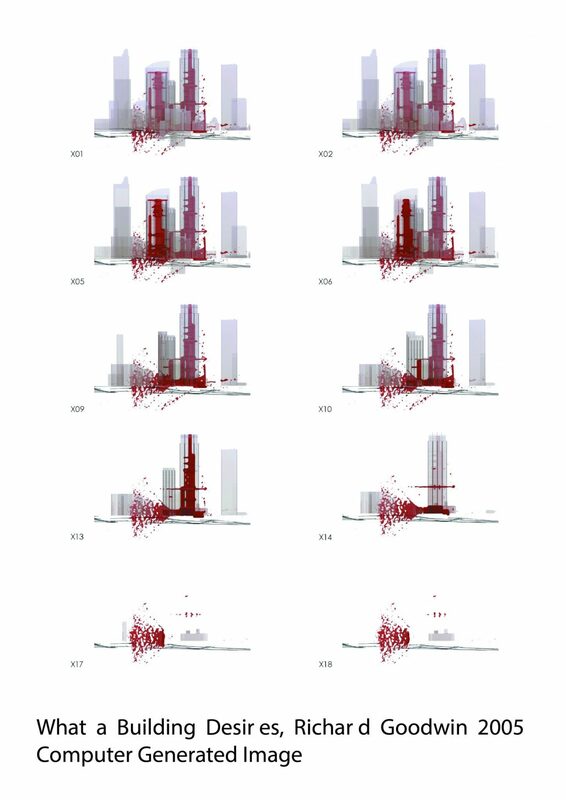 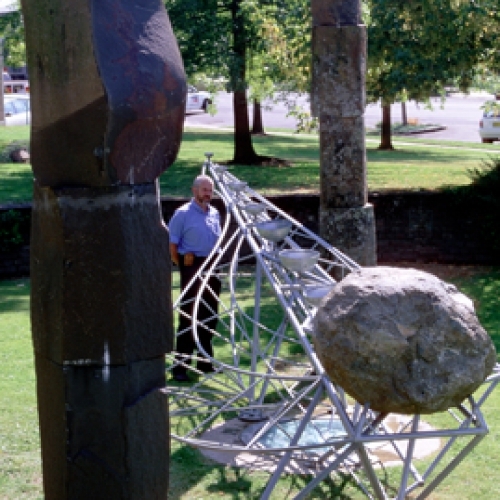 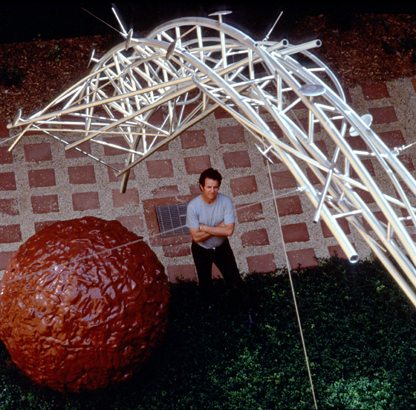 Form: Sculpture as Place Marker and Maker. 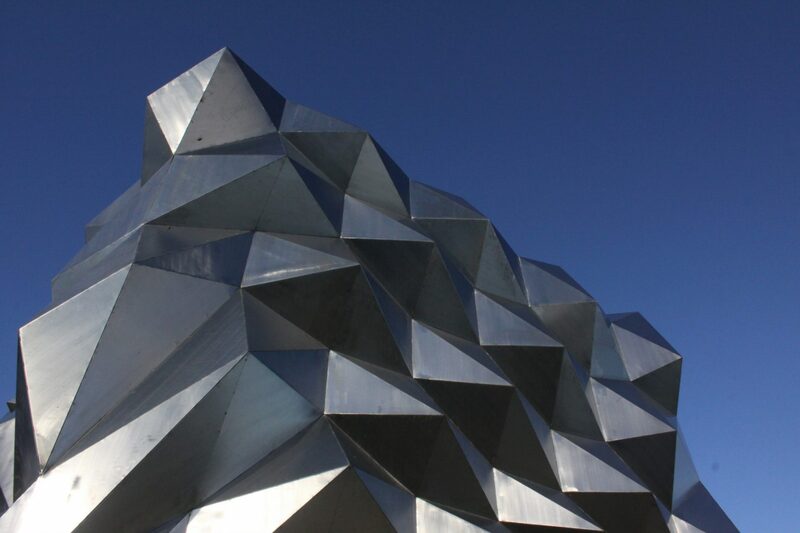 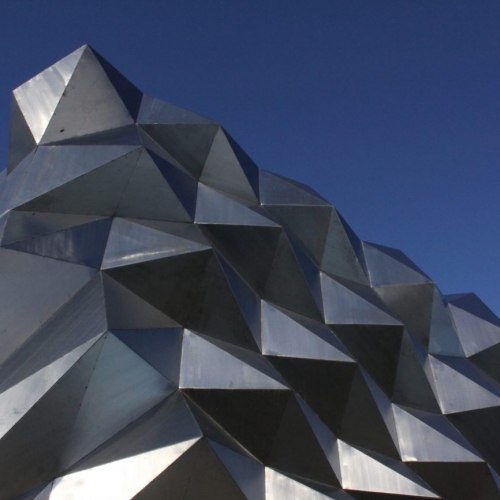 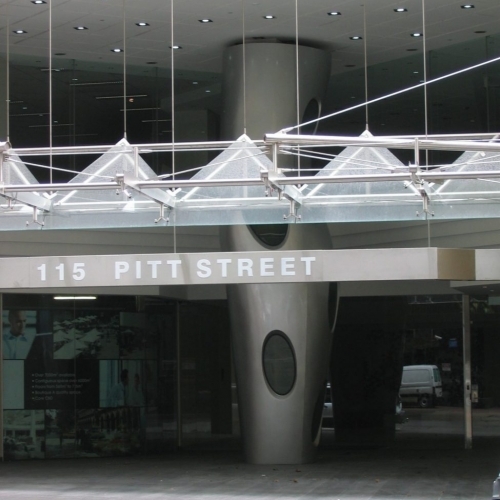 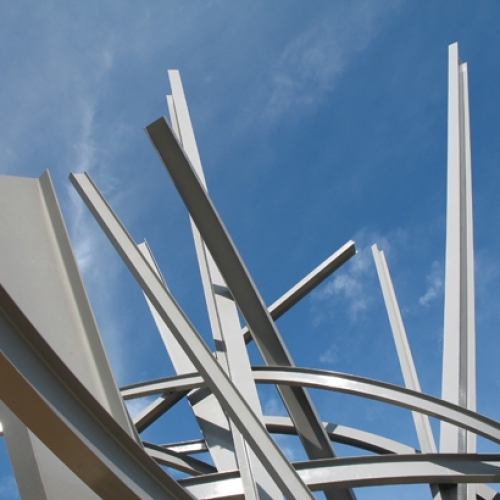 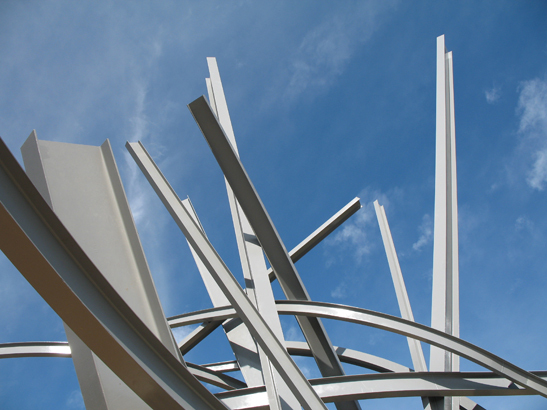 Materials: Zinc painted Steel Structure. 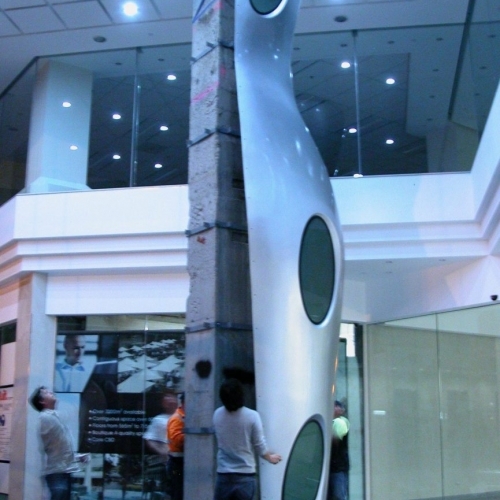 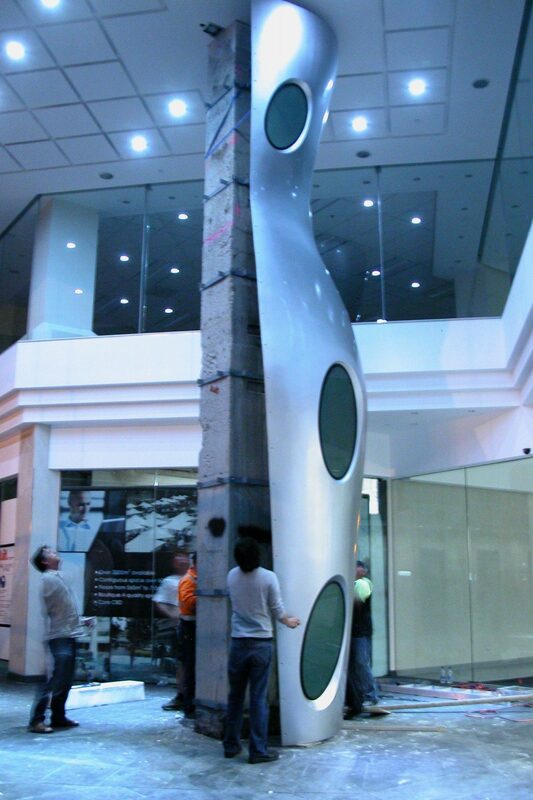 Scale: 17m high x 10m diameter. 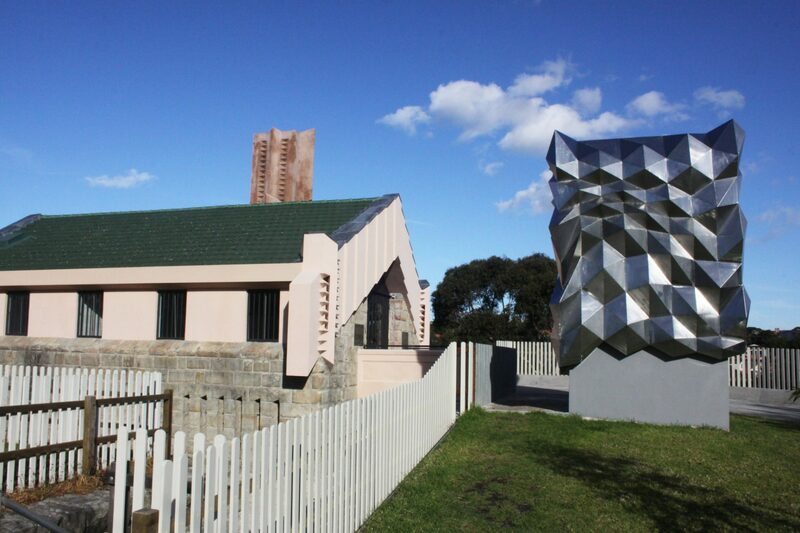 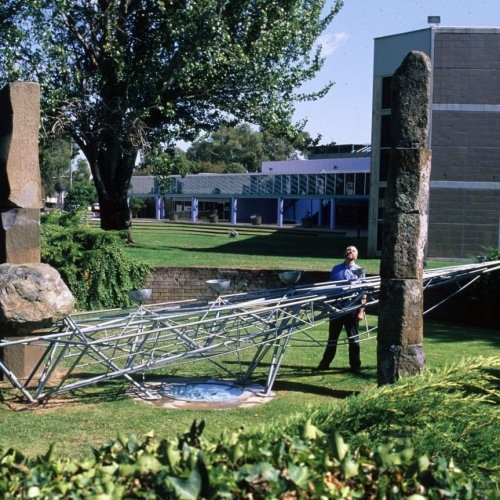 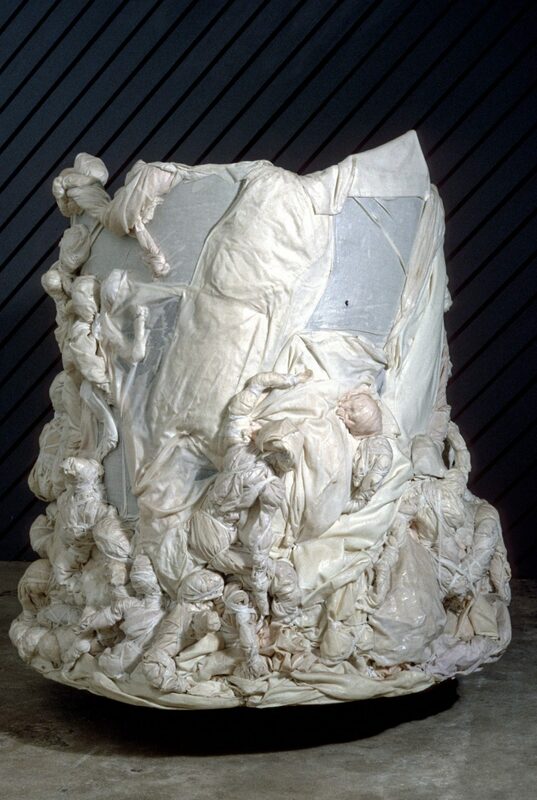 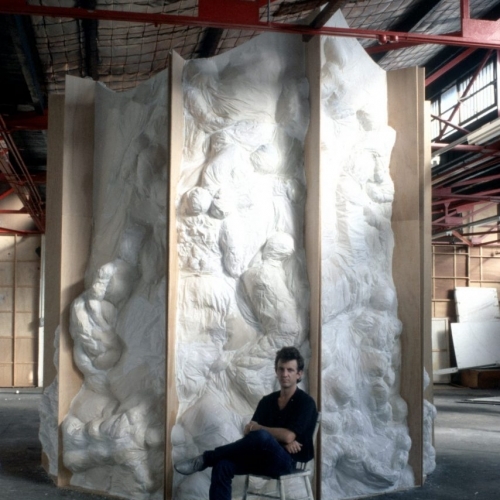 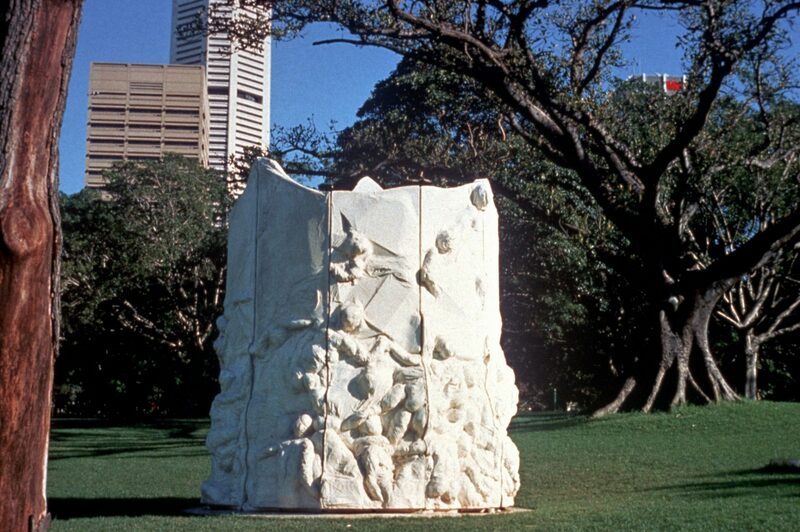 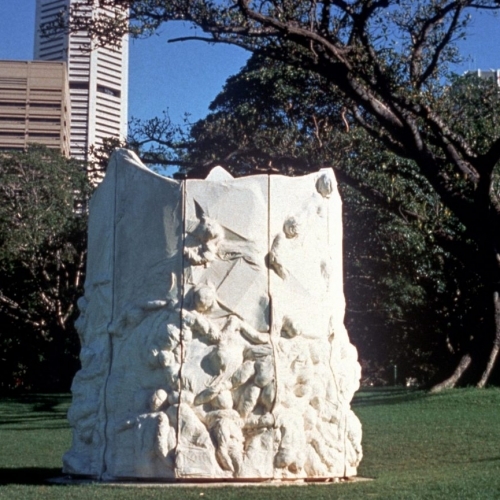 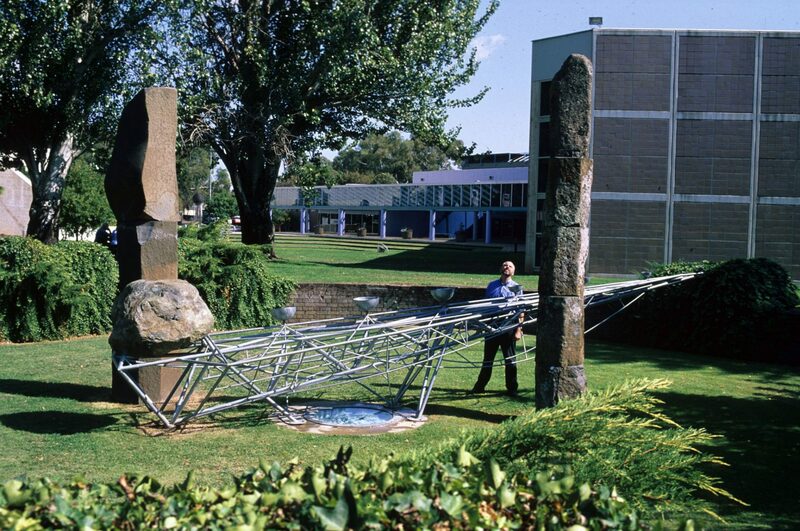 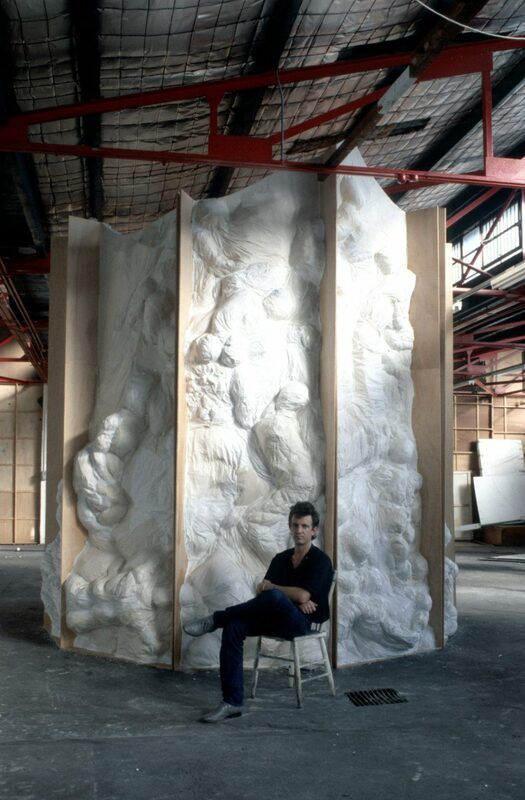 Winner of the inaugural National Sculpture Award. 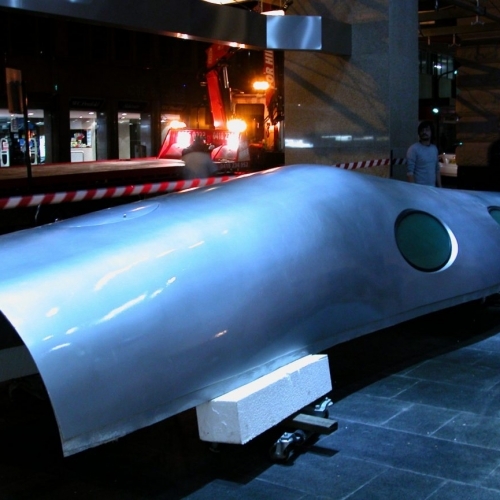 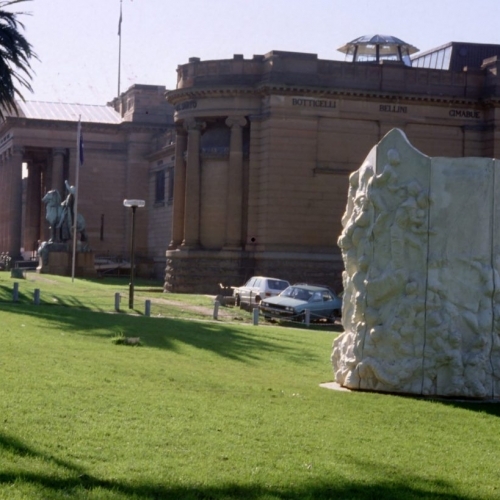 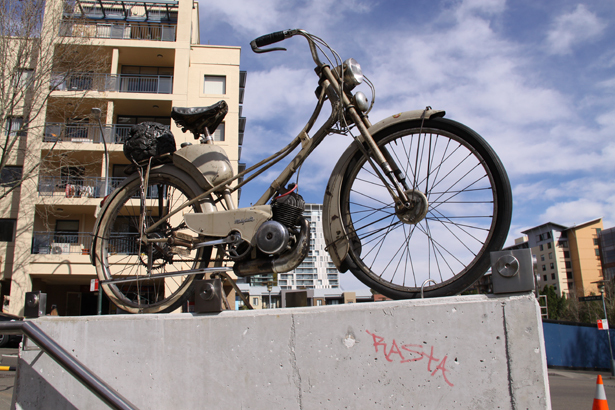 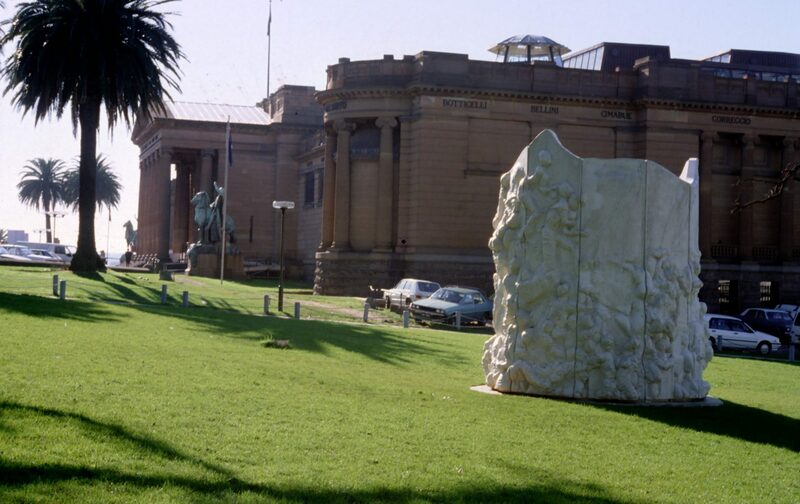 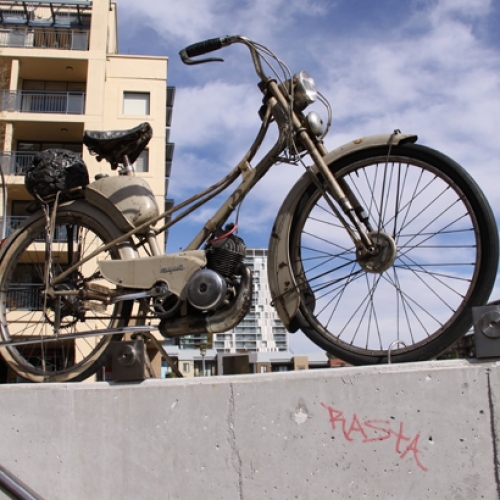 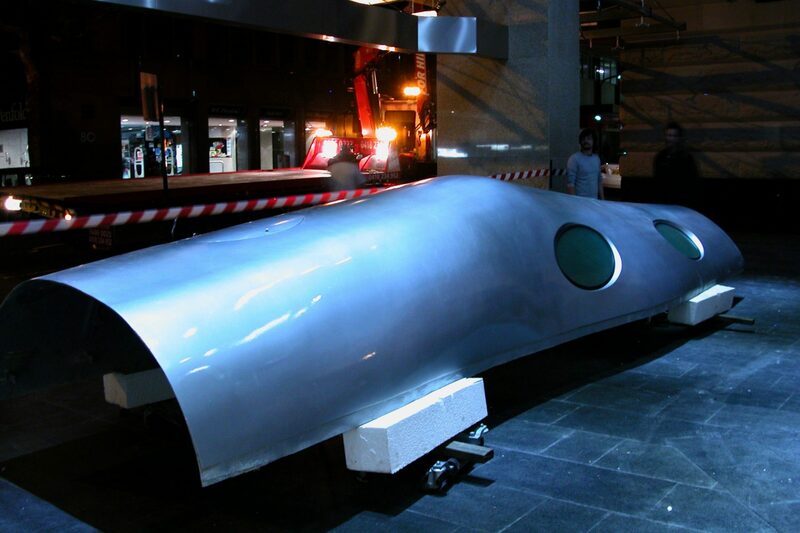 Now located outside the Art Gallery of NSW.